In 2009, on the day Daniel Rothmann turned 18, Daniel Rothmann Audio Corp. opened for business. 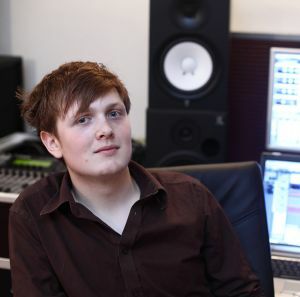 Daniel is currently working as a music producer & coach for upcoming musicians. Besides his day-job in his music studio, Daniel works as a professional piano & synthesizer player in several bands, including Zeitgeist, Decimal & Blissphemy. With roots in electronic music, Daniel focuses on innovative music production, setting new standards for the sound of the Danish underground scene. It’s a sound with an edge. Most of his sound studio is made up of digital equipment, keyboards, synthesizers, but of course also traditional bass and guitar gear. When not in the studio, Daniel is touring Denmark with his band Zeitgeist, performing as the keytar and guitar player. Zeitgeist is an unique mix of pop, rock, hip-hop and a little jazz. Denmark is showing a lot of interest for this new band, and Zeitgeist are indeed already in contact with several major record labels. The band is currently being managed by Day 1 Entertainment / Sony Music.